All photos by Joey Pangilinan. Coming off the release of their EP Soft Animals, the New York-based pairing moved throughout the festival’s Tunnel Stage, as they each would sashay from guitars to synthesizers or their unique tree of multiple drum pads. 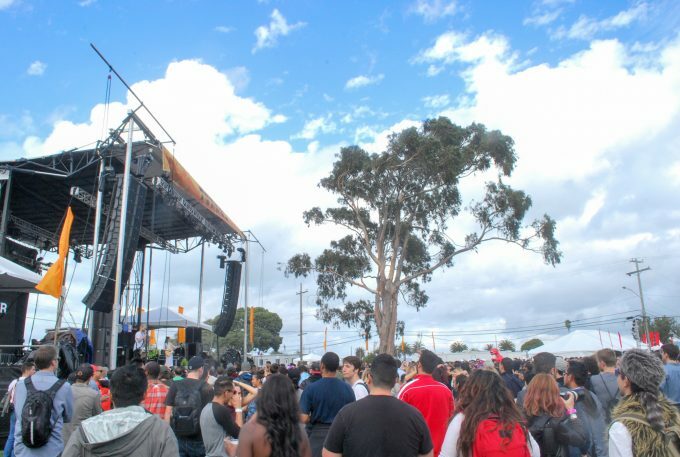 This was your first Treasure Island Music Fest, but you’ve played San Francisco previously. Have you gotten to explore the city, or the greater Bay Area? 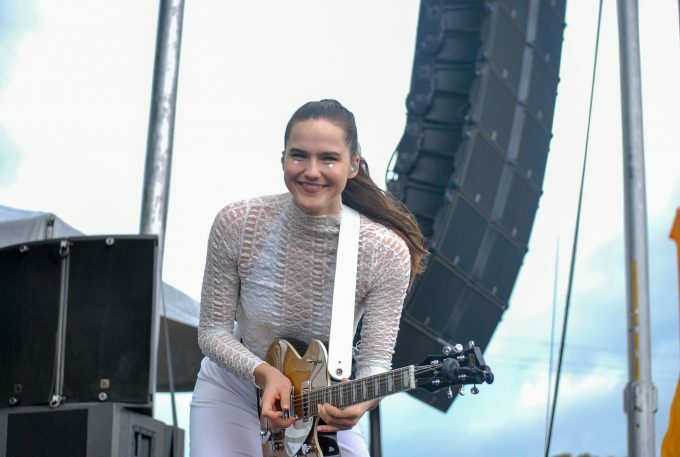 SOFI TUKKER: Not really. We are always in and out! We have to come back!! This weekend was definitely a challenge for everyone at Treasure Island–artists, organizers, fans–all of us. But your performance went off without a hitch, and you delivered a very joyous set. Have you had to deal with any adverse weather conditions previously where you had to alter your performance in some way? 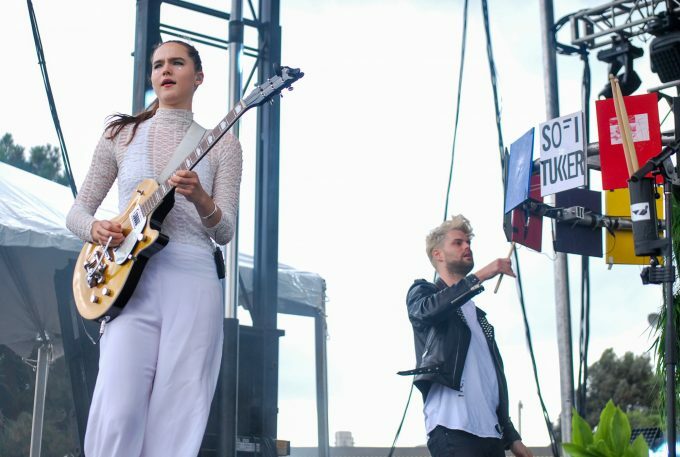 SOFI TUKKER: We have played in the rain before and loved it! It creates a kind of “we are all in this together” vibe that makes people really loose! We love playing in any weather haha, it’s always fun up there. On the other end of things, have you experienced, as a fan, other bands that pulled off exceptional performances in less than ideal weather? 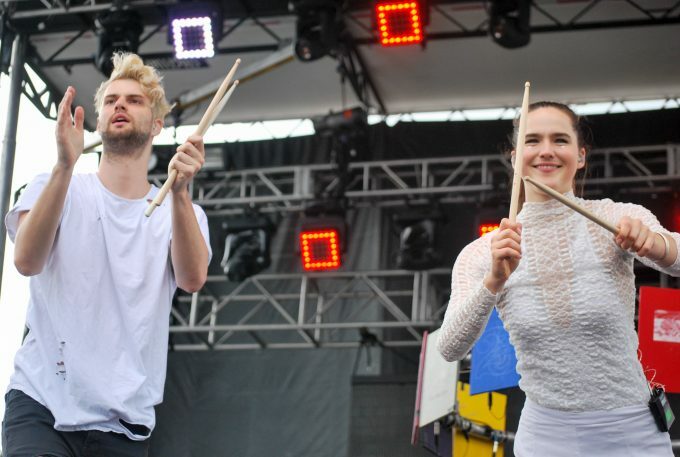 SOFI TUKKER: We loved Glass Animals’ set later in the day! They made the best out of their situation and we thought they put on an amazing performance. Last weekend in DC, we got to do an impromptu DJ set when a band pulled out due to weather. It was really fun and we got to try crowd surfing for the first time. It really wasn’t that long ago when you guys first formed. When the momentum started rolling, and you and your music began to get attention, and booked to tour and for festivals like this, was there a moment when you thought, “this is ridiculous, how did we get here?” or some other similar surreal type moment? 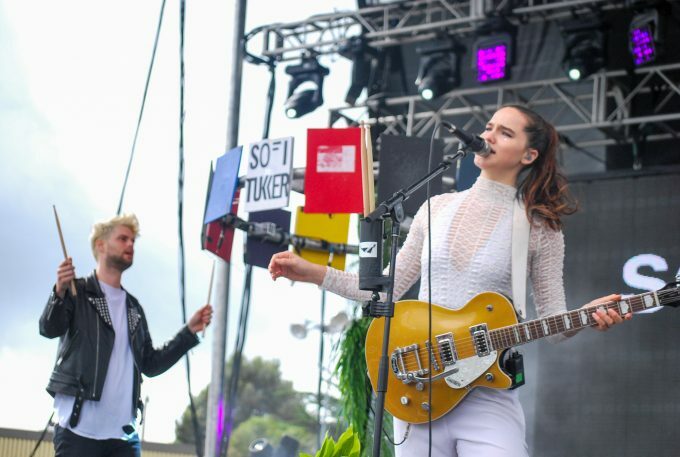 SOFI TUKKER: We are kind of always oscillating between “this is ridiculous” and “we have so much work to do” – we are so grateful because working hard and making music and dancing all around the world is our favorite activity ever! You guys had a bit of a routine to your performance, and overall very in sync with each other during your set. Sophie, you used to teach yoga, and Tucker, you used to play basketball. Is there any crossover interest between the other person’s speciality? Or at least maybe an attempt? 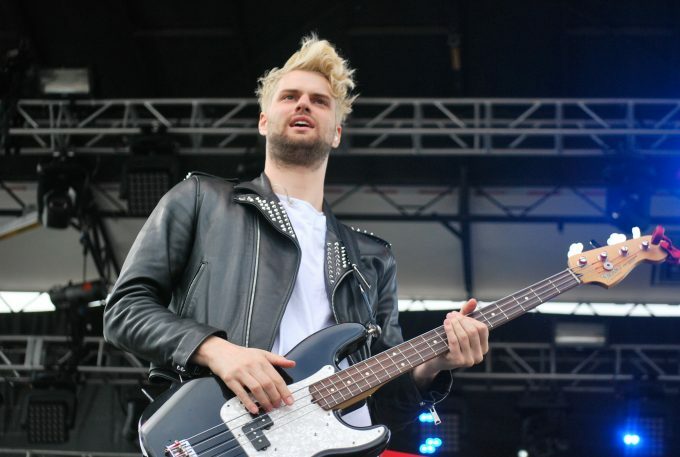 I’m just curious about little intangibles like this between band members that add to the group’s chemistry. SOFIE TUKKER: Haha! There isn’t that much yoga-basketball crossover, but who knows what will happen… we have started adopting each other’s isms more and more and it’s pretty funny because we are so different from one another. In a previous interview, you guys talked about “Moon Tattoo,” and Sophie you mentioned that your fascination with the moon was a large source of inspiration for the song. And “Drinkee” takes after a Chacal poem, as does yoga. What other art-forms, or anything really, outside of music, do you guys often derive inspiration from? 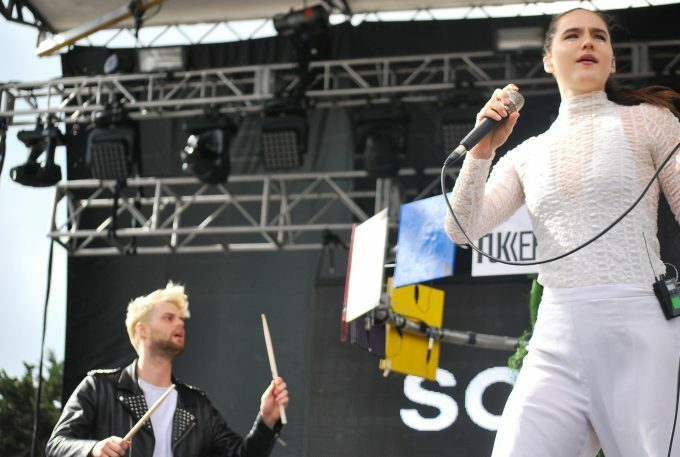 SOFI TUKKER: Honestly, everything. Life is inspiration! It changes daily… depending on what books we are reading, images we see, new music or movements we are introduced to, people in our lives… etc.